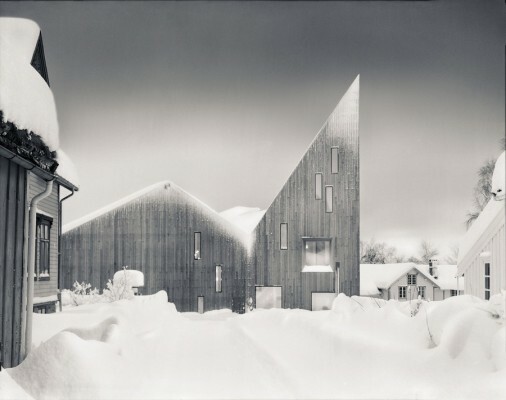 Romsdalsmuseet Molde is amongst twenty building nominations for the 2017 Architecture Award in Norway. 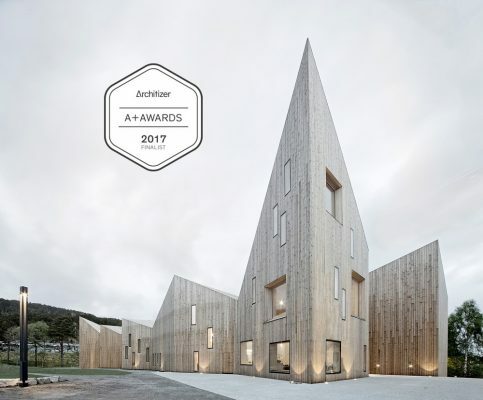 Reiulf Ramstad Architects are proud to announce that the Romsdal Folk Museum in Molde, Norway, has been selected as a finalist for the 5th Annual Architizer A+Award – in the category for Cultural Building / Museum. 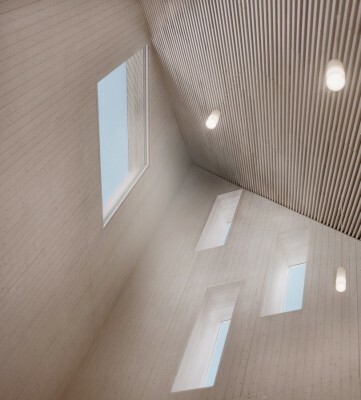 The Museum is also nominated for The Norwegian Årets trebyggeri 2016 / award for the “Wooden Building of the Year 2016”. Årets trebyggeri is a partnership between Treteknisk, TreFokus and Byggeindustrien/bygg.no, The winner will be announced during the Annual Norwegian Construction Galla in Oslo on March 29th 2017. 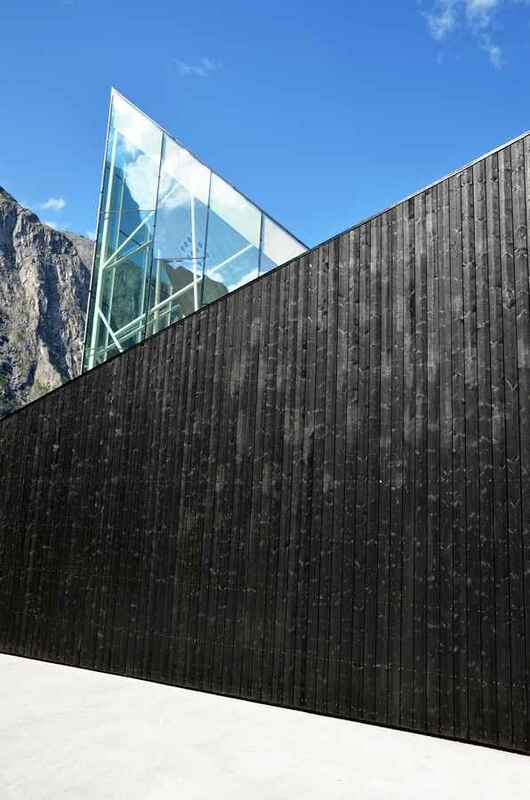 The Romsdal Folk Museum is an architectonic attraction and a treasured landmark that embodies the history and identity of the entire region. Our intention in this project was to let the structure signal its meaning and function through an architectural expression and the use of local materials. The scale of the building refers to the urbanity and morphology of the town. 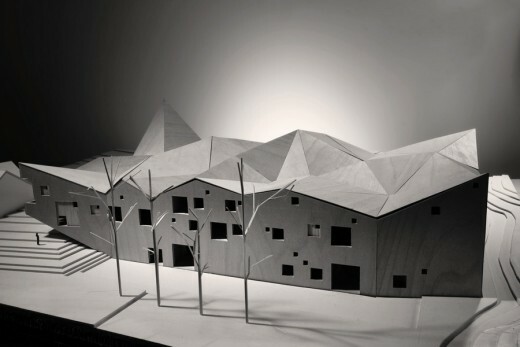 The overall layout of the museum grounds the connections to the town by linking different surrounding areas in an overall plan where all circulation is linked in a unified structure. The project conveys an open and progressive attitude that makes diverse utilization possible. The Museum design approach is rooted in rationality and sustainability. The plan geometry is deceptively simple, the characteristic angled shapes are limited to the roof and the external wall, making the circulation and internal organisation clear and flexible. The public areas are clearly separated from the administration wing, which is located on both the ground and first floor. Exhibition rooms, the auditorium and the library are all placed on the ground floor to increase flexibility and user experience. The transparency of the reception room permits supporting internal and external activities. Large sliding doors separate the permanent and temporary exhibition areas, giving the curators the ability to combine or separate the spaces. The archives and workshops are located on the basement level, with the vertical circulation of large items facilitated by a large goods lift. Pine is the primary building material of the museum. Exterior walls and roof are made of solid timber in combination of steel beam when required. The terrain entailed the use of concrete, however its use was reduce to the foundations. Exterior walls and ceilings covered with maintenance-pine relief tempered with bio-based oil. 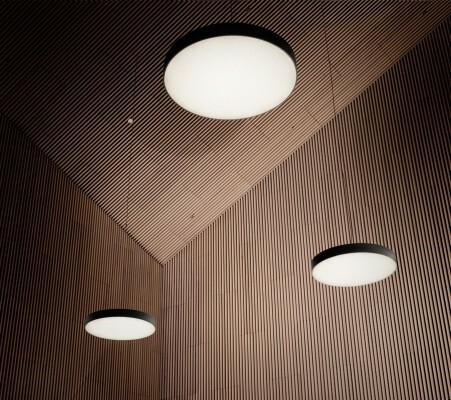 Different openings filter the daylight in such way that the internal space are enriched by gradations and translucency nuances. However, the main exhibition rooms are black boxes, giving the curators total control of artificial lightening in these areas. All the glazing units have high-energy performance glass, in some locations with silk printed colours and patterns. 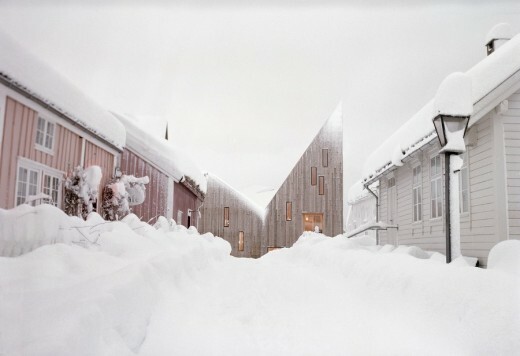 The Romsdal Folk Museum is a great example of strategic use of low-tech building solutions. 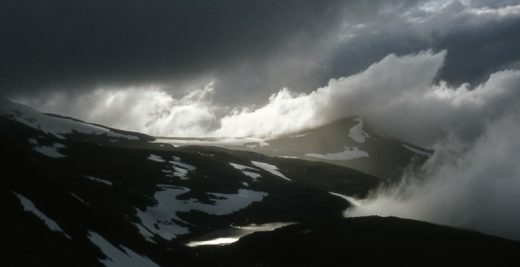 It embodies the national policy in Norway to aim for a more sustainable future. 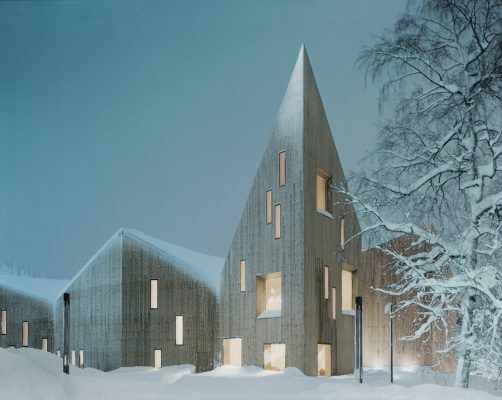 The museum is built using Norwegian timber technology and acts as a hub for cultural development. 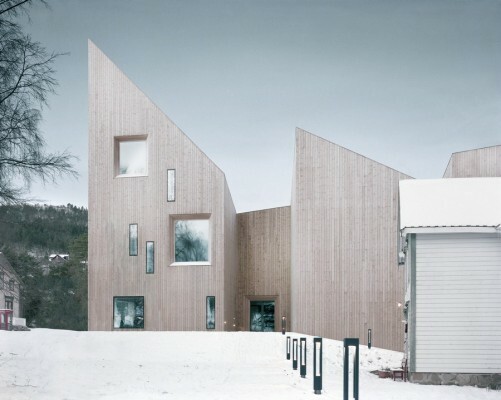 In this building, the people of Molde as well as visitors and tourists are given the opportunity to connect and to build a wider community. 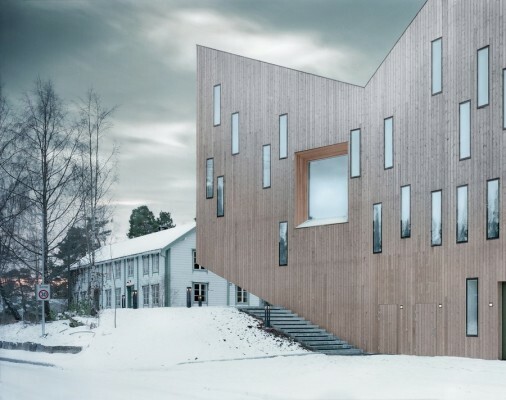 The museum hosts not only exhibits about Norwegian culture but also concerts, workshops and lectures on a day-to-day basis. The architectural form brings together the region’s folk culture and the area’s characteristic landscape qualities in a larger composition. The range of perspectives and activities ensures a broad audience, with the museum becoming a living centre for the exploration of the region’s history, contemporary culture, and future. 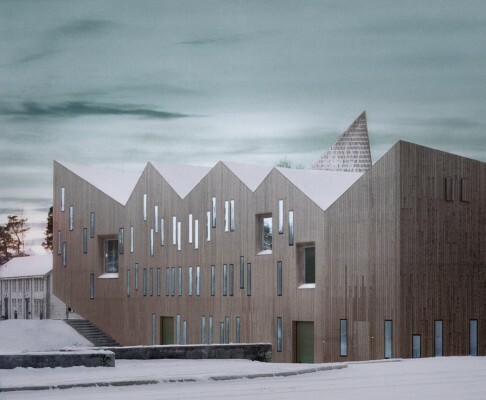 The completed Romsdal Museum complex will become an architectonic attraction and a treasured landmark which embodies a whole region’s history and identity. The intention is to let the structure signal its meaning and function through an architectural expression and the use of place-specific materials. It should convey an open and progressive attitude that makes diverse utilization possible. 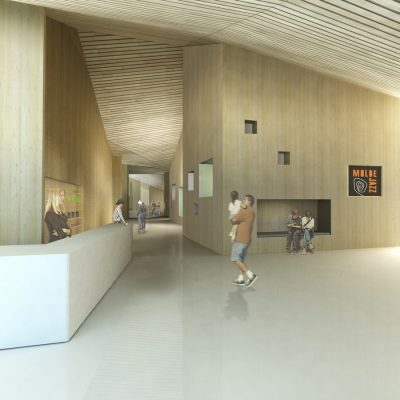 The range of perspectives and activities will ensure a broad audience, with the museum becoming a living center for the exploration of the region’s history, contemporary culture, and even future. 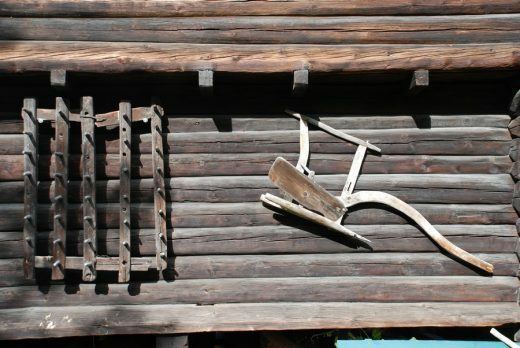 The Romsdal Museum is a museum in the Romsdal district of Møre og Romsdal county, Norway. 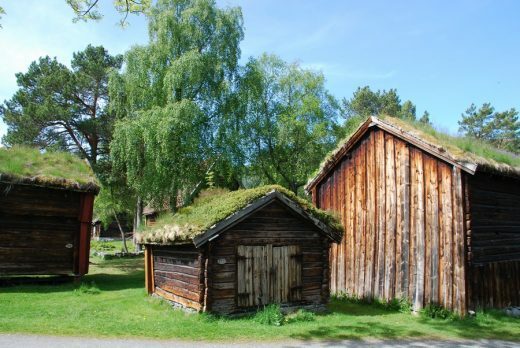 The museum is based in Molde Municipality, but it has sites all over the region. 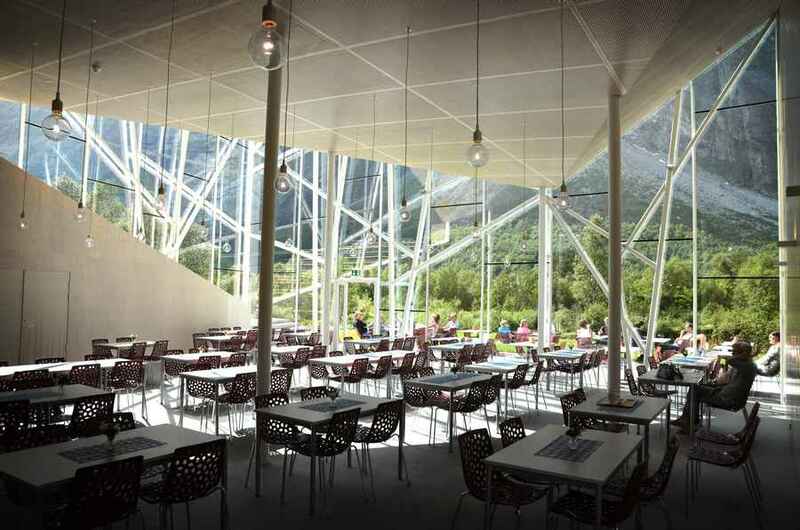 The new Romsdal Museum construction site has been featured with a video in the regional news of Møre and Romsdal county on NRK. The museum director notes that the general public seems positive about the “strange and distinctive building”. Finally, the museum will be able to exhibit and properly conserve over 20.000 artifacts and some 1.000.000 photographs. With the new building it will also be an all-year museum, instead of the seasonal opening times since its founding over a hundred years ago. 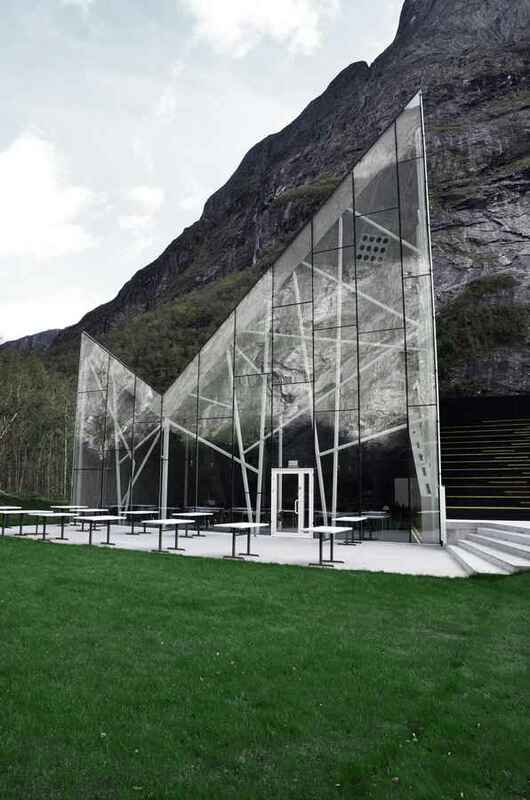 Med dette bygget får Romsdalsmuseet et signalbygg som i form og materialbruk har et moderne uttrykk. Massivtre er det viktigste byggematerialet. Inne i bygget skal museumsgjenstander, arkiv og fotografi, fylkesomfattende fellestjeneste konservering (eget verksted) og areal for faste- og skiftende utstillinger. The museum was founded by Peter Tønder Solemdal (1876-1963) in 1912 and is one of the largest and most extensive folk museums in Norway. In addition, the museum has a library and several archives for prints, text, and photographs. In 1928, the museum was opened to the public. In the middle of the field is the old “Isdammen”, previously used for ice production. The area contains also of an idyllic lake, which is very popular for the local birds, and a stage space that is used during Moldejazz, the Molde International Jazz Festival. Several houses that are included in a guided tour; Tresfjord Cottage, Holt Cottage, Hammervoll house, and Erik Pålgarden Garden. 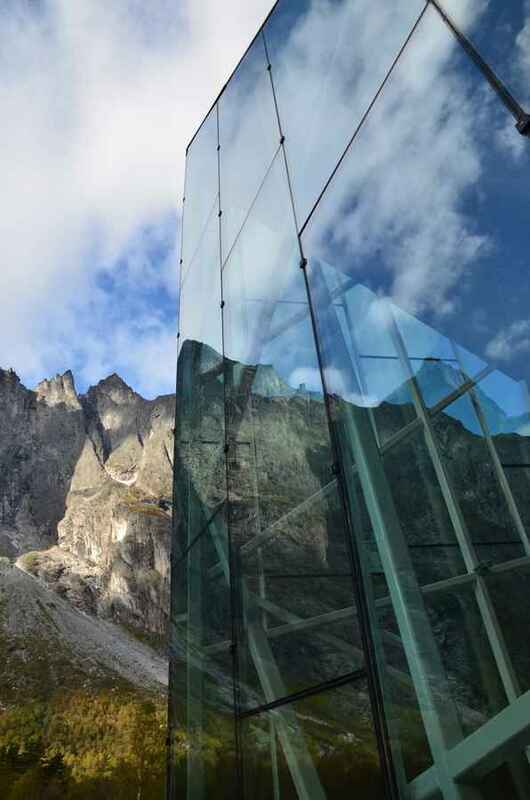 It’s a new cursor at the foot of the Troll Wall; The architecture of the new visitors`center next to E139 is an outcome of the sites` close connection to the impressive mountain wall, Europe’s tallest vertical, overhanging rock face in The Romsdal Valley. 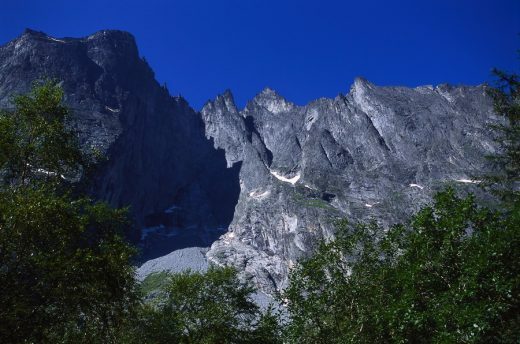 The Romsdal valley has some of the tallest, sheerest cliffs in Europe and is a popular place for BASE jumping including “birdmen” jumping off cliffs in Wingsuits!